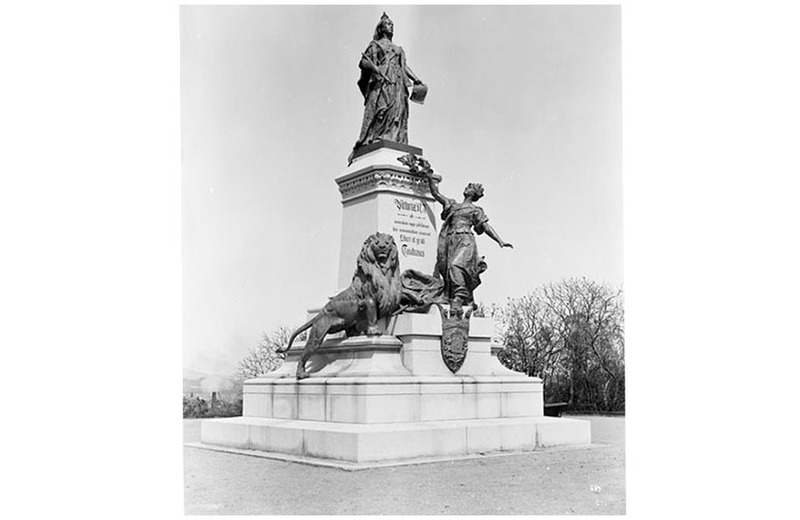 The Queen Victoria Monument was officially dedicated by the Duke and Duchess of Cornwall and York (the future King George V and Queen Mary) in September 1901. 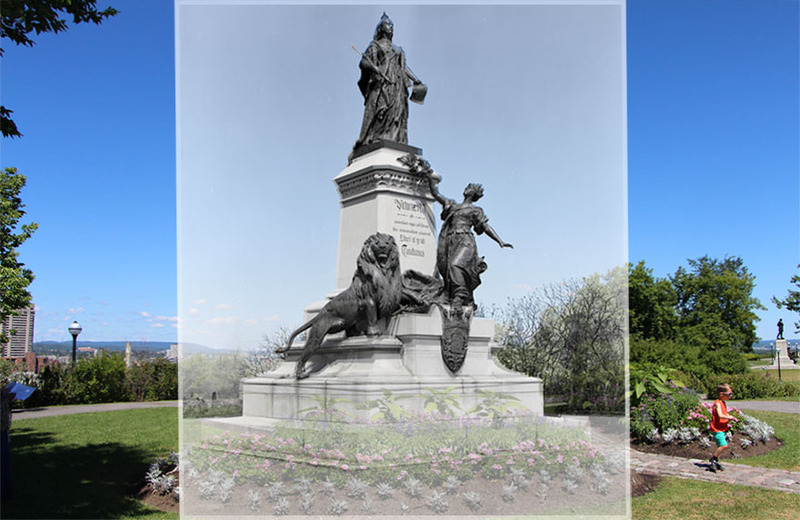 The Queen Victoria Monument was set on a mound just to the west of the Centre Block. 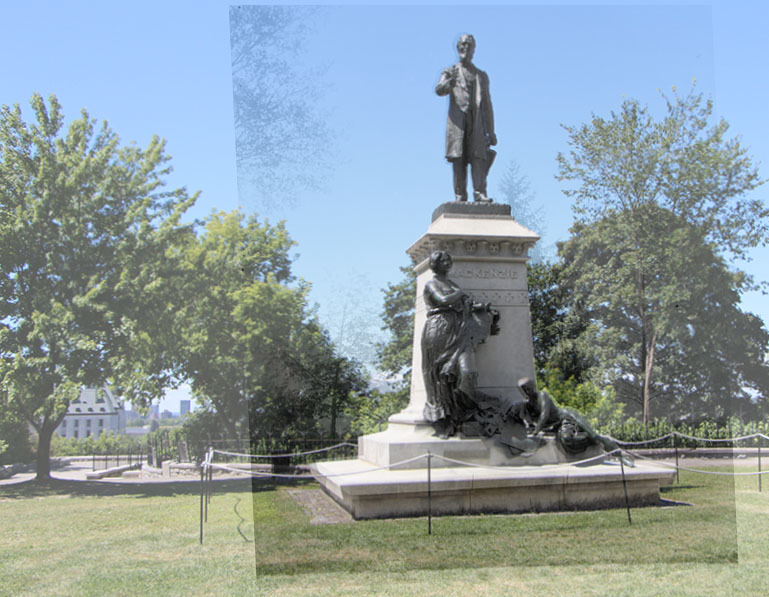 It had previously been used for a summer pavilion. 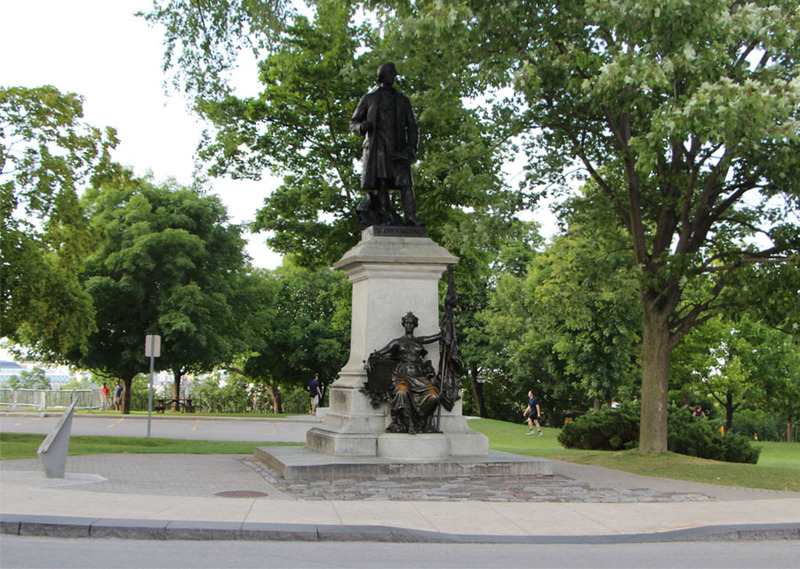 Wikipedia: Located at the north-west corner between the West and Centre Blocks, the statue of the country’s first monarch was sculpted by Louis-Philippe Hébert in 1900, and dedicated by Prince George, Duke of Cornwall and York, in 1901. 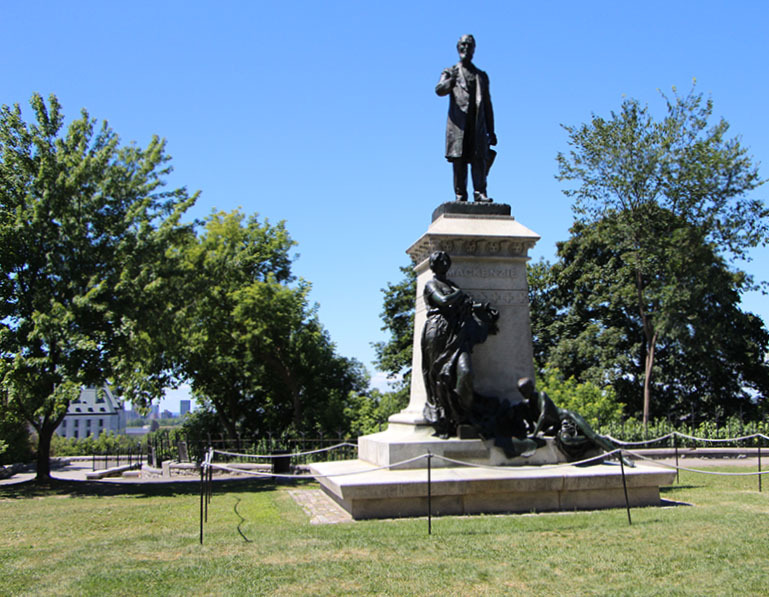 Wikipedia: Louis-Philippe Hébert was selected from 44 submissions from Canada, the United States, the United Kingdom, and Europe, to sculpt the statue of Canada’s first prime minister. 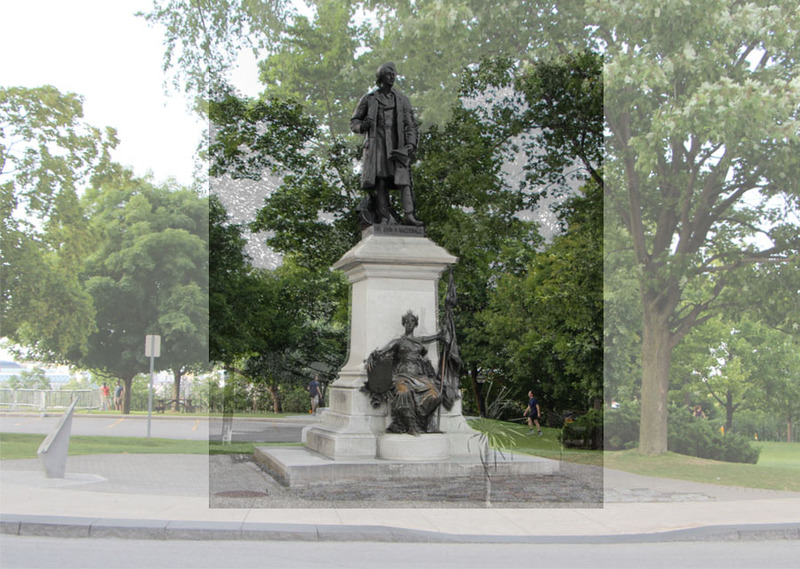 In the 1880s it was unveiled at the south east corner of the Centre Block. 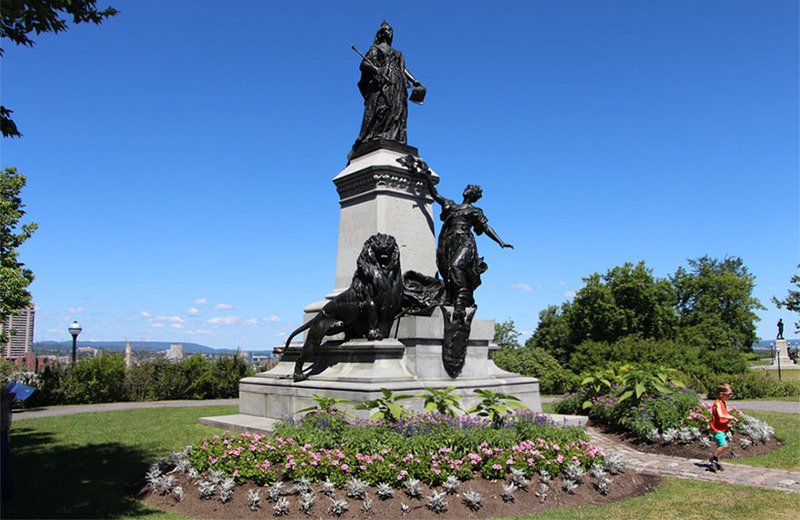 Wikipedia: Placed directly to the north of the statue of George-Étienne Cartier, Louis-Philippe Hébert was commissioned to sculpt this figure at the same time as he was awarded the project of the monument to Queen Victoria. 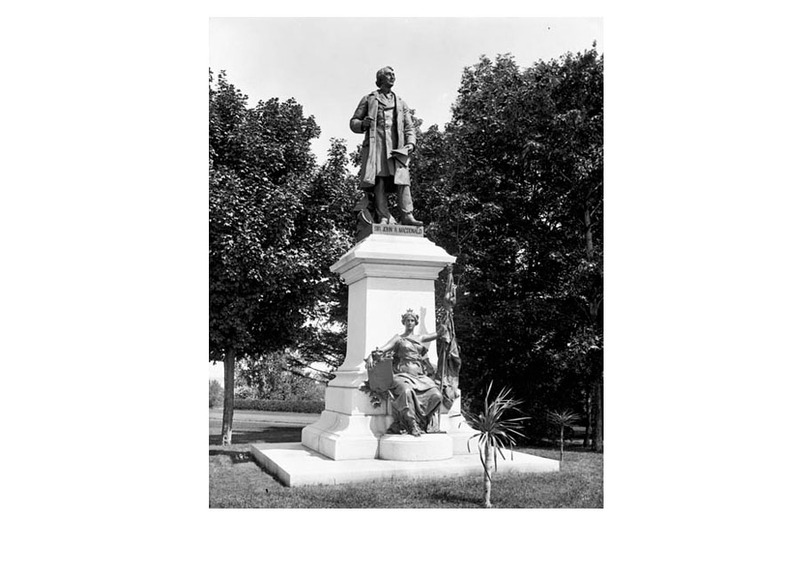 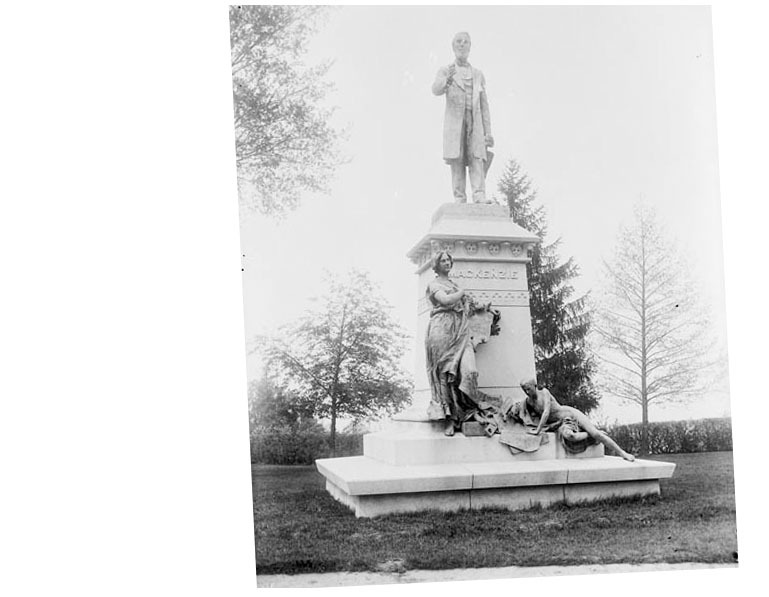 The statue was unveiled in 1901.